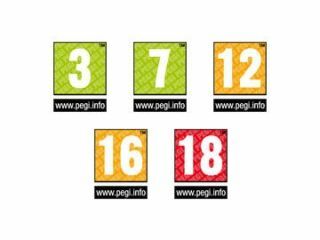 The new PEGI game ratings system, which was outlined in the Digital Economy Bill in 20102, faces further delays due to the government not acting fast enough when it comes down to the legalities of the classification change. This is according to UKIE, an industry trade body for the games industry, which has told GamesIndustry.biz that there's been little movement on the matter. Since 2009, the idea that there one classification for gaming has been mooted and this was made official in 2010's Digital Economy Bill. Since then there have been a number of delays and it seems that we are in the midst of another one. UKIE chairman Andy Payne said about the matter: "This further delay to PEGI's implementation is extremely frustrating not to mention disappointing. "We have received repeated assurances from Government that the process is in hand, yet PEGI is still no closer to implementation. "It is also disappointing that a Government constantly – and quite rightly – pressuring industry to put measures in place to protect children – can't seem to deliver on its side of the bargain." With no word as to when the UK government will be cutting through the red tape, it seems that games ratings will still be done through a voluntary code – during this time selling an adult-rated game to a minor remains a non-offence.